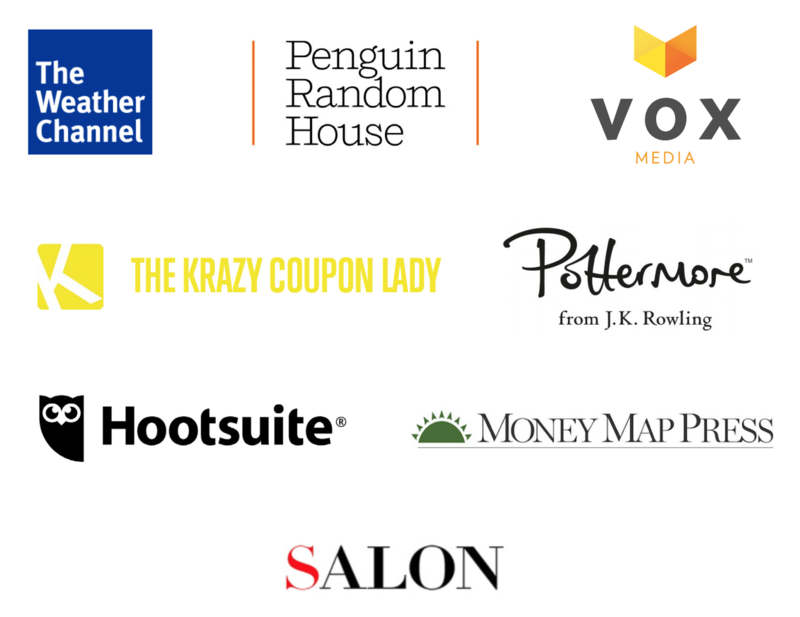 SendGrid helps thousands of media/publishing companies deliver email to their recipients every day. 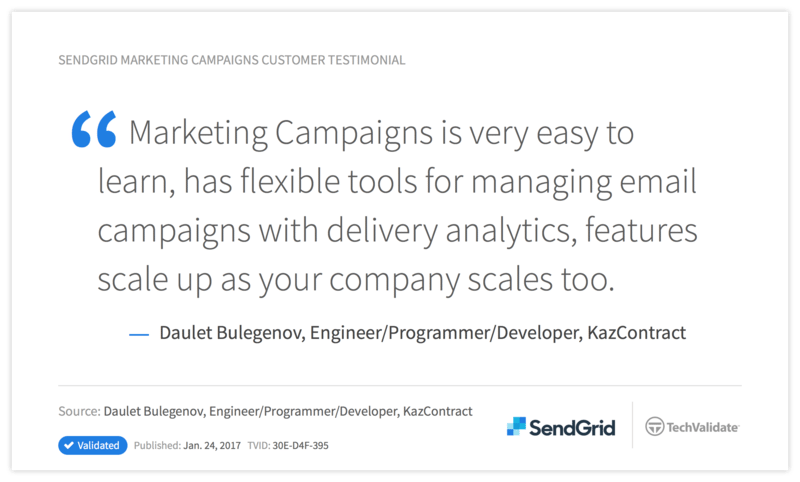 SendGrid’s platform is an ideal solution for many of these companies because it sends both transactional and marketing email. Determine what changes to will improve email performance. Transactional Email – Messages sent to recipients to facilitate an action or transaction. Common types include subscription confirmations, account notifications, password changes and other essential emails. Marketing Email – Commercial or promotional messages like weekly and monthly newsletters, new content updates, and other campaigns designed to drive engagement, revenue, and brand awareness. No matter how great your email is, if it doesn’t get delivered to the recipient correctly it’s not helping your business. As a delivery-first ESP, we focus on providing industry-leading support as well as Expert Services to help customers get their messages delivered to the inbox. To help other media and publishing companies gain insight into the world of email in their industry, we reached out to a few SendGrid customers to see what their businesses look like and how they use email. JustRunLah! 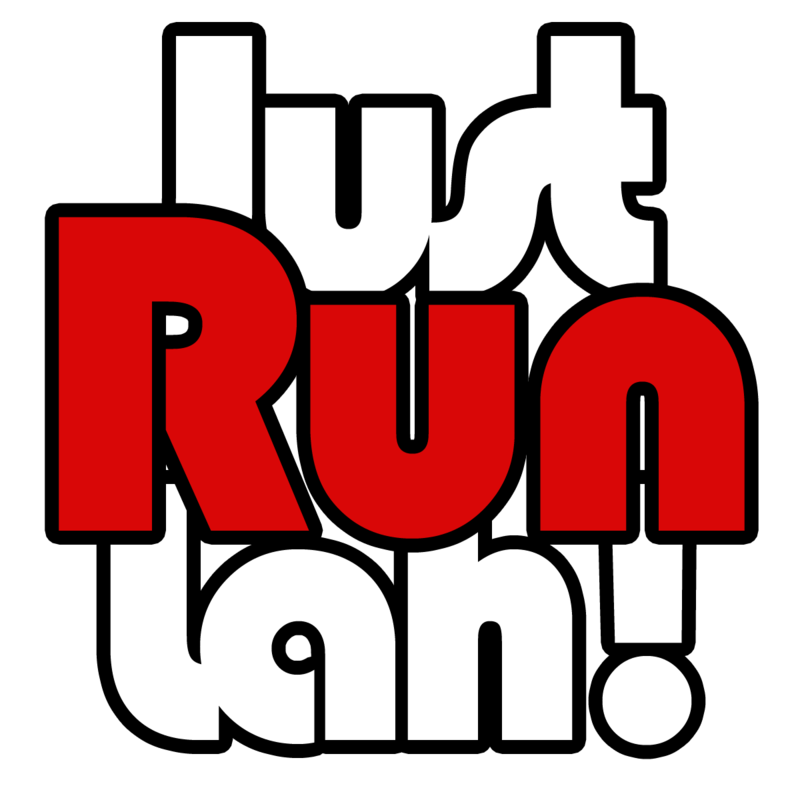 is Asia’s leading running and fitness website, hailing from Singapore. Since its launch in 2014, the site has become the preferred online destination for runners and active individuals sourcing for event calendars, news, reviews, tips, exclusive discounts, and travel recommendations. It is complemented by Asia’s first mobile app for running, JustRaceLah!, which is an innovative tool that allows members to discover races and track their performance improvement over time. How often do you publish new content on your website? We currently have a pool of about 100 bloggers who review races, products, and write about their running experiences. That’s on top of our authors and staff. In terms of articles, posts, and reviews, anything from 1 to 10 posts per day. How many subscribers/recipients do you have? We have about 60,000 subscribed members, both in our mailing list and our mobile app. How important is email for your business? How does it help you drive revenue? We are using emails mostly as a means of keeping engagement and retention rates high, rather than driving revenue directly. How does your email strategy differ from other types of communication, like social media? We’re focusing more on action and event-driven communications rather than traditional newsletters. We want each recipient to receive a personalised email that is relevant to them. What advice would you give a new online publishing business or email sender about email? Let people know what to expect if they subscribe to your mailing lists, and only send your subscribers content they want to receive. It can get tempting to keep bombarding people with links to your latest products or promotions as your user base grows, but that won’t do much good. FashioNZ is New Zealand’s longest running fashion website and has been online since August 1998. It’s updated daily with fashion news, interviews, reviews, competitions, and related fashion and beauty content. The site has a loyal following in New Zeraland and overseas, and it’s also a hub for the local fashion industry with designers, brands, recruiters, fashion schools, and stylists represented on the site and in the online store. The original aim of FashioNZ was to showcase New Zealand fashion to Kiwis and to the world, and that continues to be our passion today. We publish new content daily which is a mix of news stories, interviews, reviews, competitions, lookbooks, job listings, and other fashion industry content. Currently, we have over 38,000 subscribers. Email is very important. Our weekly eDM is a great way to share each week’s content with our readers all at once and always drives a strong peak in traffic. Our clients pay for space in our eDM as it reaches a wider audience that most of their own databases and always has good engagement. Our eDM is curated and collated carefully to present all of our week’s content together in a way that means the reader can pick and choose what they want to read. On social media, we promote our content one story at a time. We spend a good deal of time each week on the presentation and layout of our newsletter and it always has a personal introduction to help the reader connect with the content. We also run a competition each week giving a new prize to make our newsletter even more enticing which is a strategy that works well for us and increases the newsletter’s open rate and engagement. Strong visuals are really important – We make sure each week’s newsletter loads quickly while looking good. Content is king – We pick our best stories to lead and keep in mind what our audience is most interested in. We try to keep emails concise by giving each piece of content only one sentence to draw you in. People have short attention spans, so you have to make sure everything is really engaging. Layout is really important – We try and make our emails look clean and not too cluttered even though there are usually 8 – 10 pieces of content in them. Consistency is key – Our emails go out every Tuesday at the same time, and we always deliver regardless of what else is going on in the business. Proof and double-check everything, especially links – A broken link can cost you valuable traffic to your site, and if people are put off when they can’t get to what they want, they’ll likely give up. You don’t want to lose that customer. We help thousands of senders in the media and publishing industry deliver mail to their recipients. If you’re a media or publishing company, you want to make sure your email program is working and optimized. One of the ways you can check the health of your email program is by comparing your engagement metrics to industry averages and other media and publishing senders. As a company within this industry, use these numbers as benchmarks. If you’re beating the industry averages, we suggest you continue implementing good sending habits. You can scroll down to the Delivery Best Practices section to learn more. If your engagement metrics are well below the industry average, you may need to make some changes. In these situations, you may want to check out our 2018 Email Deliverability Guide or our Top 10 Tips and Tricks to Stay Out of the Spam Folder Guide. Many email marketers in the media and publishing industry often focus on small tweaks they can implement to increase clicks or opens on individual sends. Increasing engagement when possible is always great, but you also want to make sure emails are arriving in the right place and getting your message in front of as many people as possible. The Recipe Rebel is a food and cooking blog that was created as a way to share easy, mostly healthy, fun and creative recipes for the whole family with other food lovers and home cooks. New content is shared often and email is leveraged to confirm subscribers and to message recipients about new posts and menus. 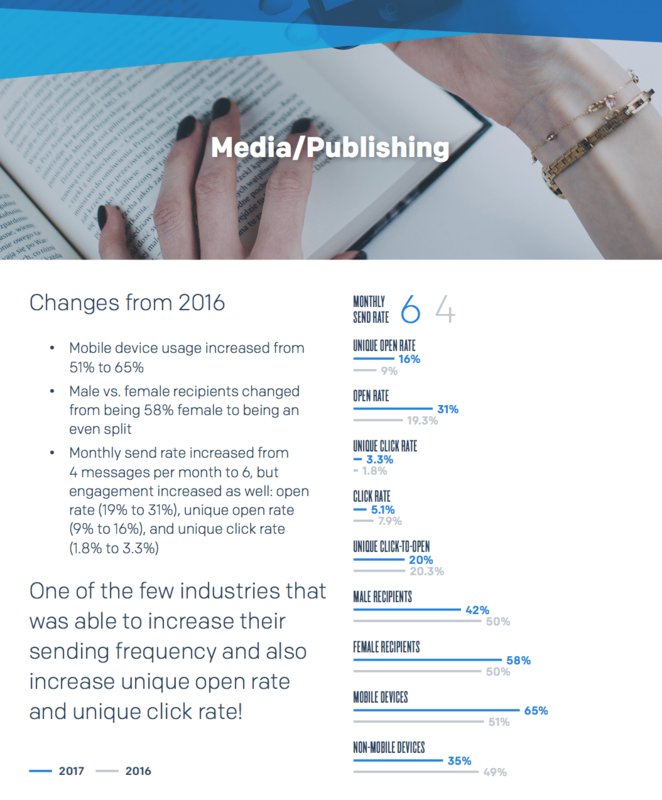 The media and publishing industry was one of a few industries that was able to increase their average sending frequency as well as their average unique open rate from 2016 to 2017. While this is a great trend, each sender should test the number of emails they send to their recipients each month to determine what the optimal amount is. You can learn more about avoiding email fatigue and improving your sending frequency on SendGrid’s blog. Smaller media and publishing senders who send fewer than 30,000 or 40,000 emails each month may be fine sending email from a shared IP, but larger senders need to be more strategic. Not only is buying contact lists against SendGrid terms of service, it’s a proven way to negatively impact your ability to get messages delivered to the inbox and not the junk/spam folder. Speedy Publishing LLC is a hybrid book publishing company that is geared towards giving the author and writer the power to build their brand, market and distribute their content just the way they want. Giving them the freedom to choose how involved they are in the book publishing process and, more importantly, lets the author and writer focus on what is important to them–creating entertaining and high quality content that will deliver value to the customer. If you buy a list and begin sending email to those contacts, recipients aren’t going to know who you are or what your business is, and they going to be a lot more likely to mark your email as spam. For more tips on growing your recipient list the right way, visit our interactive How to Grow Your Email Marketing List Guide. Sending a confirmation email to people that have provided their email address allows you to provide your new subscriber with more information about the types of emails they’ll receive. It also provides a way for them to re-confirm that they want your email in the future, making them a lot more likely to engage with future sends. Be clear with your subscribers about how often you will email them. Whether you do it at the point of address collection, or you include some frequency information in your confirmation email, letting people know how often you’ll be sending messages, and when you post new content, is a great idea. When recipients can anticipate your messages, they’ll be likely to open them and click the links within. A preference center allows recipients to choose which emails they prefer to receive. While this may seem like a way for people to limit the ways you can message them, they’re really raising their hands and telling you exactly what types of messages they’d like receive. For media and publishing companies, you could provide recipients with the different categories or subjects of posts you have on your site so recipients can select those they are most interested in. When the success of your business is based on your ability to communicate with your customers, having a scalable, reliable email service provider is critical. SendGrid’s platform allows media and publishing companies to send 1-to-1 transactional emails as well as 1-to-many marketing emails.